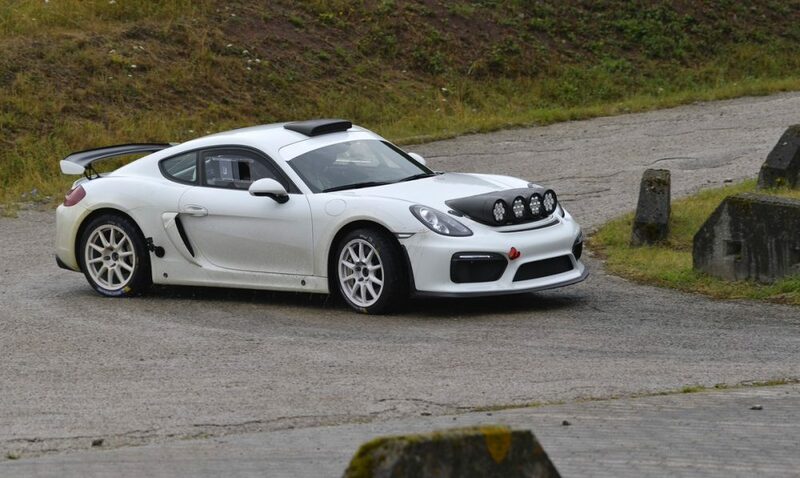 Playing off this morning’s Fintail Mercedes and the theme of less-than-likely rally cars, the latest Porsche motorsport news is centered on a potential works rally entry based on the modified Cayman GT4 Clubsport seen here. 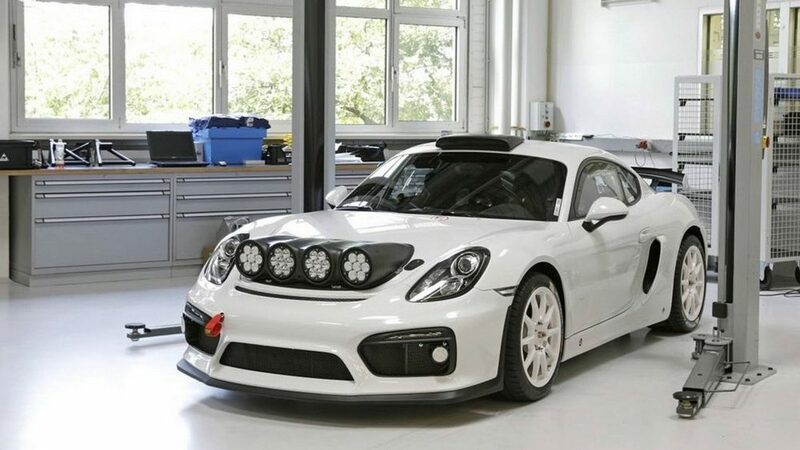 That is, depending on how it performs in the upcoming Rally Deutschland later this month. 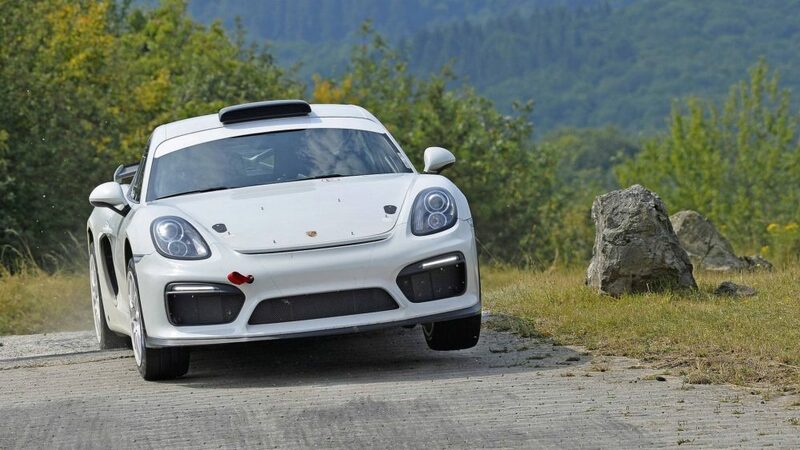 Though it’s not the first of its kind to compete on a rally stage, this particular repurposed Cayman GT4 is the most focused attempt at making the platform into a truly competitive one in the FIA’s R-GT class (which includes other GT-based machines like the Aston Martin V8 Vantage). Fresh from setting a new overall record at Pikes Peak in an electric Volkswagen, Romain Dumas is turning his attention back to his engineering company’s—RD Limited—work on getting the more down-to-earth Cayman properly modified to handle the jumps and ruts and mud puddles of rallying. 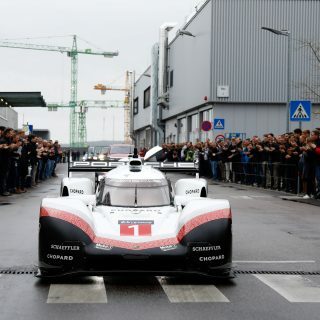 We can see the obvious changes to the bodywork in addition to that serious bank of driving lights (does anything actually look worse with these? 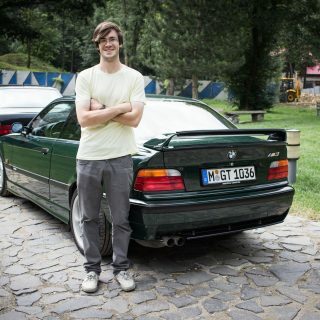 ), but as far as mechanical details are concerned there’s nothing but speculation. 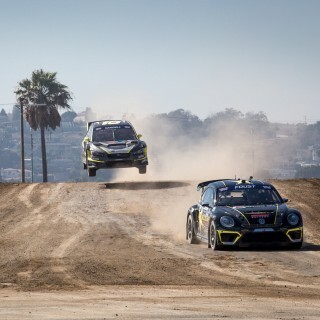 Since sources say Dumas hopes to eventually get the car competing in the big show that is the full WRC season rather than a support series of sorts, we can expect it to go through a few more rounds of changes along the way. You already know it will have a much more robust long-travel suspension setup, and it likely retains the base car’s (if you can call the Clubsport a “base car”), 3.8-liter naturally-aspirated flat-six good for just about 380hp even in stock form. So where does Stuttgart come into play? 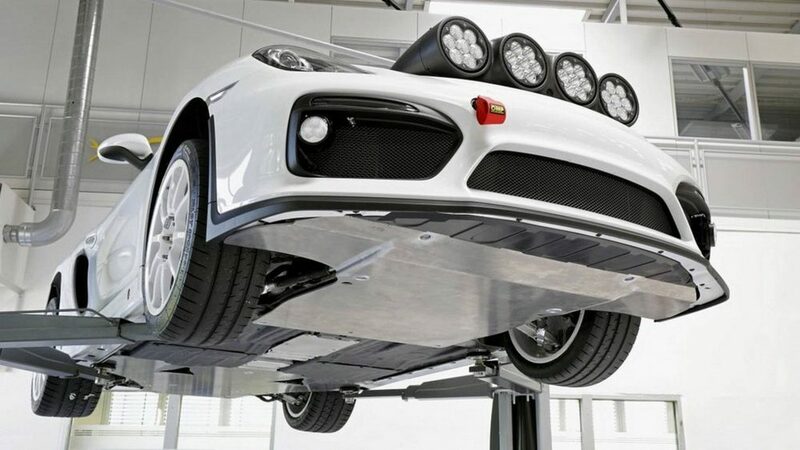 Though they aren’t developing this car directly, it seems Porsche is working closely with Dumas as his RD Limited engineering team carries out the actual preparations, but the really intriguing bit was mentioned on Twitter yesterday when the motorsport arm of the manufacturer said they were considering the possibility of developing a factory rally car based on a future model (likely the upcoming Cayman refresh) should the response to Dumas’s car be the right one. 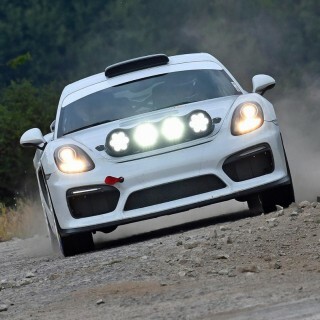 Whether that means it has to finish well or just garner attention from the fans at Rally Deutschland is hard to say, but the idea of Porsche coming back to the WRC as a manufacturer should give the crowd something to cheer for regardless of pace. Perhaps it will be a means for VAG to take back the crown from Ford. PS; @ the Petrolcious staff . Speaking of Porsche announcements y’all missed out on the fact that Porsche Classic is in the process of creating a Singer Killer ? We’ll be all over it on the 17th, as I’m sure you will be too. Teaser videos look promising. @ Alex Sobran . Promising indeed ! From what I’m seeing in the UK and EU press ( complete with videos ) I’m assuming it’ll be Ruf ( or better ) level engineering with Singer aesthetics all tucked underneath a classic looking 993 body . And lets keep our fingers crossed that R-GT finally comes into its own . 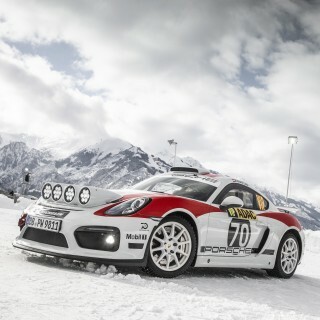 Suffice it to say once you’ve seen any of the R-GT cars presently in action you’ll never go back to WRC again ! Slower ? Yes . But a helluva lot more exciting to watch . I think today’s WRC cars are awesome. For the last two years they have been purpose built machines that harken back to the glory days of Group B. Big aero, trick differentials, super fast, very close competition. Too bad FIA doesn’t care much about rally. 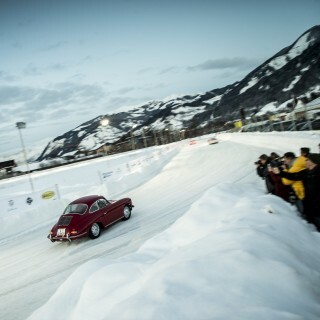 Purest form of motorsport as far as I am concerned.